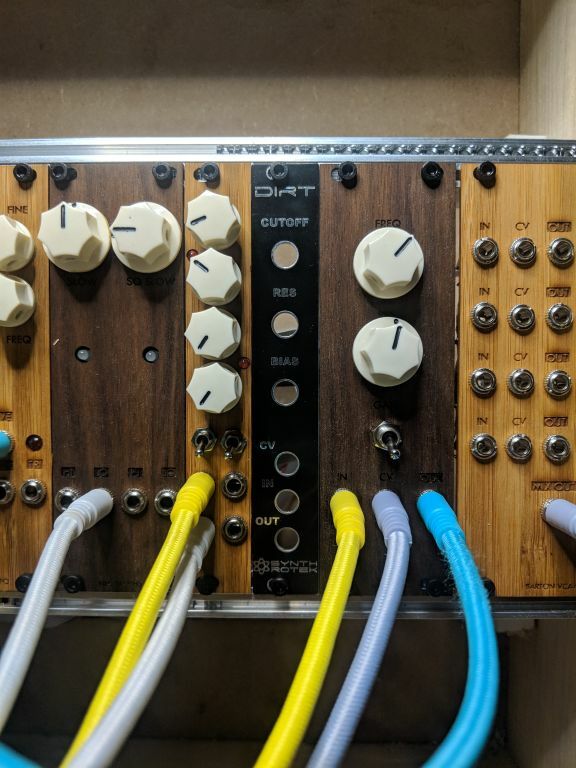 MUFF WIGGLER :: View topic - Best material for laser-cut Eurorack faceplates? 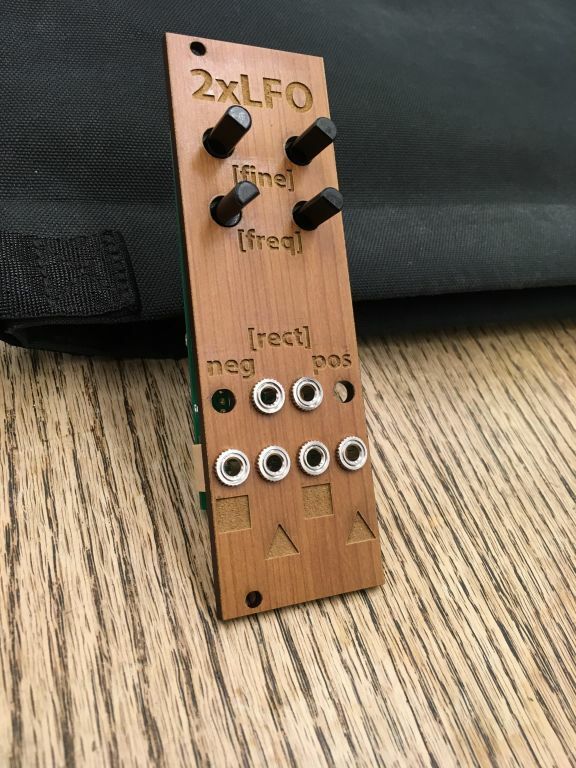 Best material for laser-cut Eurorack faceplates? I have free access to a laser cutter at my local library. It's low-power, but it can handle 1/8" plywood and acrylic no problem. 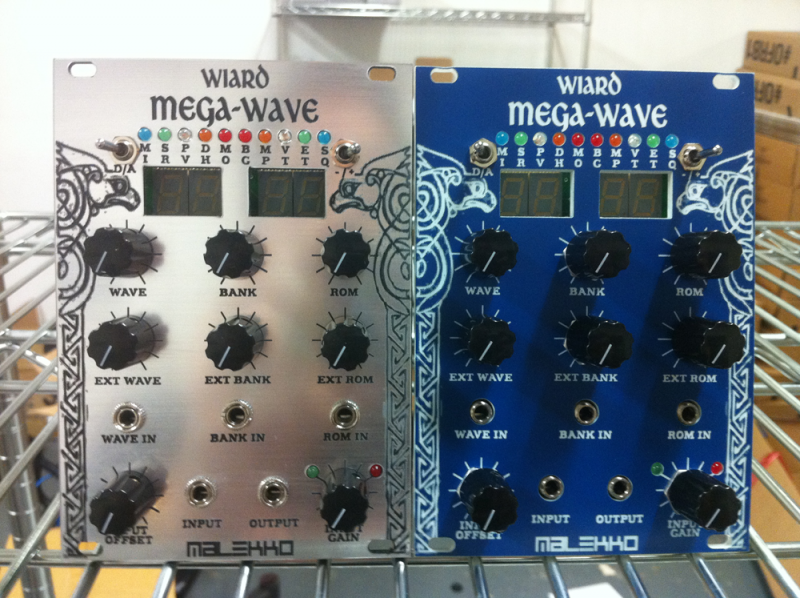 Which of these is better/stiffer for Euro faceplates? use 4 mount holes with wood. I mostly use wood, as I don't like the plastic look. it is a personal taste. propagation characteristics). Ply won't shatter but it tends to flex a lot. where the pots go thru (even have recessed nut counterbores if you like). i use 2.7mm ply which is what the fab lab stocks, it's absolutely not the best but it looks interesting and is super cheap + fast (panel works out to be about a dollar and it's no issue to get one-offs). flex is an issue but if you use the grain of the wood for narrower panels it's a lot better. Thanks guys. There is a 3d printer at the library (eight of them, actually), and I have printed a mult panel downloaded from Thingiverse. Designing in 3d CAD is difficult and not fun for me, but I suppose it's no worse than learning Front Panel Express's software. The nice thing about the laser cutter is that you can engrave labels very easily. I use a laser service which does the two-tone panels, but you have to do a 300 x 600mm sheet, which is 19 or 20 panels at a time. The nice thing about this place is that you just supply an SVG file with red lines for the full cutouts and black for the top-color-layer removal. I just use Inkscape, easy to install and fairly flexible. 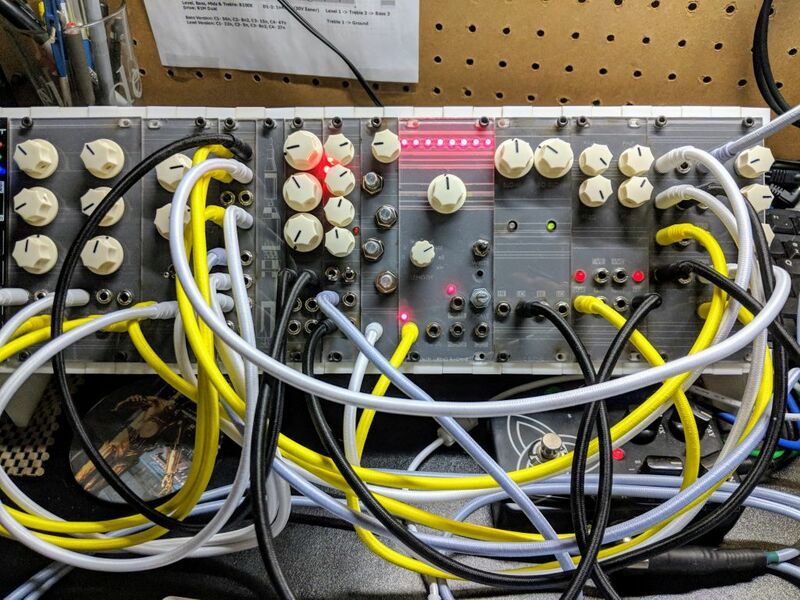 To overcome the brittleness, I make sure my components are all mounted on PCB or experimenters board backing, not just mounted into the panel isolated. My library has a little laser cutter as well, and I've tried a couple of different things for faceplates. My first shot was 2mm acrylic, which worked ok, but I had trouble dialing it in so that it wouldn't scorch, and over time, the panels cracked at the screw mounting slots. I used clear acrylic, which I painted before etching in reverse, so that the text and graphics were visible through the sort of jeweled front. Looked good when it was new and clean, but collected fingerprints like crazy. Next attempt was with 1/16" bamboo and walnut sheets from Inventables. These cut fantastically well and I like the effect a lot. They still flex a lot, but that's okay if you've got a pcb with onboard pots and jacks, which makes them rigid enough that I have no concerns about durability. I have a couple of utility module things that are wired point-to-point with just jacks on the panel, though, and they flex all over the place and will probably break in time. The bamboo especially looks really nice with a mineral oil finish. Expensive, though. I think I paid 12 bucks for a letter-sized sheet. Maybe that's not so much in the end, since you can get a full row of faceplates out of it. My newest favorite thing is 1/8" masonite. The jacks I have just barely fit, but I'm very pleased with how easily it cuts, with its rigidity, and with how nice etched graphics look on it. Don't have any pics of these yet. The best part is that it's incredibly cheap. I paid $9 for a full 48"x96" at Home Depot. It cuts well enough with a utility knife to knock it down to a size that will fit in the laser cutter. Those are good-looking panels. Do you have a pic of any engraved masonite panels? I'm making passive expanders and mults, and so don't have any pcb to stiffen the ol' bamboo. Masonite sounds like the ticket. You have to be careful when etching these type of wood panels especially because some of them have a thin clear coat you can’t really see or feel but after etching will leave little residues around the laser etching borders. I simply got a microfiber cloth and cleaned it off. This is 1/8”, which I chose because it is flush with my store bought manufacture made metal panels. And yes it’s sturdy so when I plug in my patch cables it doesn’t bend. I did 1/8" acrylic for years and it always worked great for me. they were on all the original runs of Expert Sleepers + DinSync modules. You can also find some 2ply acrylic that allows a sub color to show through when etched. They have a little more flex then cast acrylic, but totally fine IMO. I've only used wood based material on end cheeks. What is that material called and where did you get it? I've never seen hardboard with grain marks in it like that before. It's a good-looking panel. They still flex a lot, but that's okay if you've got a pcb with onboard pots and jacks, which makes them rigid enough that I have no concerns about durability. I have a couple of utility module things that are wired point-to-point with just jacks on the panel, though, and they flex all over the place and will probably break in time. Just wanted to echo this. If you have PCB mounted jacks, this significantly helps with flex. 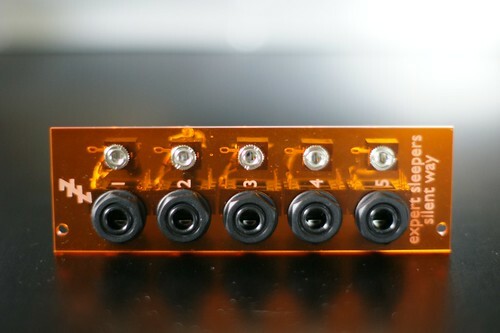 I've also combined modules I would use together with one faceplate to also help with flex. I think the "grain" is fake and is just a veneer on top of the piece.